Volvo’s performance sub-brand Polestar has pulled the covers off its first production model, and established itself as a standalone entity. The Polestar 1 is set to arrive in mid-2019, and makes use of an electric drivetrain that is supported by a 2.0-litre, four-cylinder petrol engine that powers the front wheels. Combined, the petrol and electric motors produce 592bhp and 737lb/ft of torque, while the hybrid GT car can travel further than 90 miles on electric power alone. 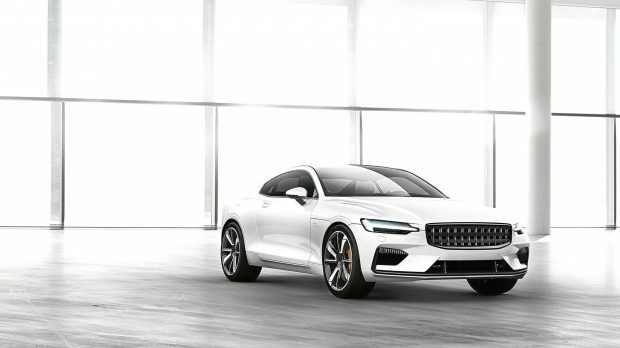 Polestar CEO Thomas Ingenlath said: “The Polestar 1 is a performance electric hybrid, but with the longest pure electric range of any hybrid car in the world, we consider it an electric car with support from an internal combustion engine. The Polestar 1’s largely carbon-fibre body sits upon Volvo’s Scalable Platform Architecture, reducing weight and improving torsional stiffness by 45% while lowering the car’s centre of gravity. In a move away from the traditional ownership model, Polestar cars will be ordered online and offered on a two or three-year subscription. Monthly payments will cover servicing, as well as the ability to rent other Polestar and Volvo models. The Swedish manufacturer also confirmed Polestar 2 – a mid-size battery-electric vehicle to rival the likes of the Tesla Model 3 – would start production in 2019. This would be followed by Polestar 3, an all-electric SUV-style vehicle.